A doctor's education can seem a bit confusing to their patients. I told my mother that I'm seeing a GI Nutrition fellow. "So he's not a doctor?" she asked. "Yes, he's a doctor," I tried to explain, "but he's in training." "So he's an intern," she states. "No, he's not an intern or a resident." Let me try to clear this up. For a potential doctor in the U.S., a 4-year college degree with a B.S. in biology is a fairly standard baseline. Then it's on to 4 years of medical school which includes clinical rotations in all the major disciplines. Hopefully she will graduate and receive her medical or osteopathic degree - the "M.D." or "D.O." after her name. Now she's a doctor! But hold on; she can't practice yet. Our new doctor must pass a state licensing examination. After that, she can legally practice medicine in that state. But there's a big catch. Medical practices will not hire her, hospitals will not allow her on staff, and insurance companies will not credential her until she is board certified in a specialty. So it's on to a residency. 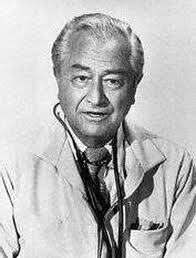 When I was a child, most doctors were general practitioners (GP). After medical school, they completed a 1-year internship after which they were free to hang up a shingle and do everything from delivering babies to managing heart conditions and removing tonsils. When Family Practice (now Family Medicine) became a specialty in 1969, the old GPs were grandfathered into that specialty, but new doctors had to complete a 3-year residency to be eligible for board certification. Today, there is hardly a doctor left who is not a specialist by training, though we tend to categorize primary care providers (family practice, internal medicine, and pediatrics) in a separate category from specialists. Going back to our new doctor, she must complete a 3-5 year residency in the specialty of her choice, whether internal medicine, neurology, dermatology, general surgery, etc. The term "internship" is rarely used these days, but sometimes denotes the first year of residency. It is more common to call the residency years "PGY-1, PGY-2, PGY-3" for post-graduate year 1, etc. After the residency, our young doctor must pass a board certification examination. Finally she has everything she needs to set up shop. But she may decide to continue into a subspecialty. For instance, subspecialties of internal medicine include cardiology, oncology, and pulmonary medicine. These require additional training in a fellowship program and then passing another board certification examination. By now you probably have a whole new respect for your doctor. She is a master of delayed gratification after so many years of education and training. My daughter, a second year physician assistant student, is fed-up both financially and mentally. How does anyone make it through 12 to 16 years of higher education? It does help that doctors are paid during this arduous training, but the salary is far below what they will earn in regular practice. The chart above shows typical educational requirements for doctors and midlevel providers (nurse practitioners and physician assistant). Primary care specialties as well as neurology and dermatology require a 3-year residency. ObGyn training is typically 4 years. Keep in mind that residents sometimes continue an additional year as chief resident in their training programs. Internal Medicine subspecialties like cardiology, endocrinology, pulmonary medicine, allergy, infectious disease, and rheumatology require an additional 3-year fellowship. Anesthesiology and radiology have longer residencies, and general surgeons longer yet. But when the surgeon goes on to subspecialize in areas like pediatric surgery or surgical critical care, they top out the chart at 16 years! I have known doctors who have completed more than one residency or fellowship. Whew! Our doctor can finally start earning a good paycheck and rest on her laurels, right? Wrong! She's never finished learning. 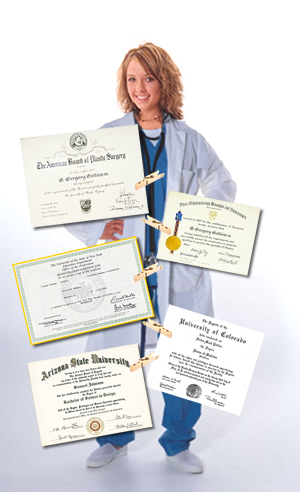 She will be responsible for continuing medical education and re-examination in her specialties throughout her career. And aren't you glad she has to keep up with the latest information? See the complete list of specialties and subspecialties recognized by the American Board of Medical Specialties.